Yesway Rewards is a loyalty program that rewards customers with points for fuel and in-store purchases. These points convert to Smiles which can be redeemed for Rewards. How do I join Yesway Rewards? 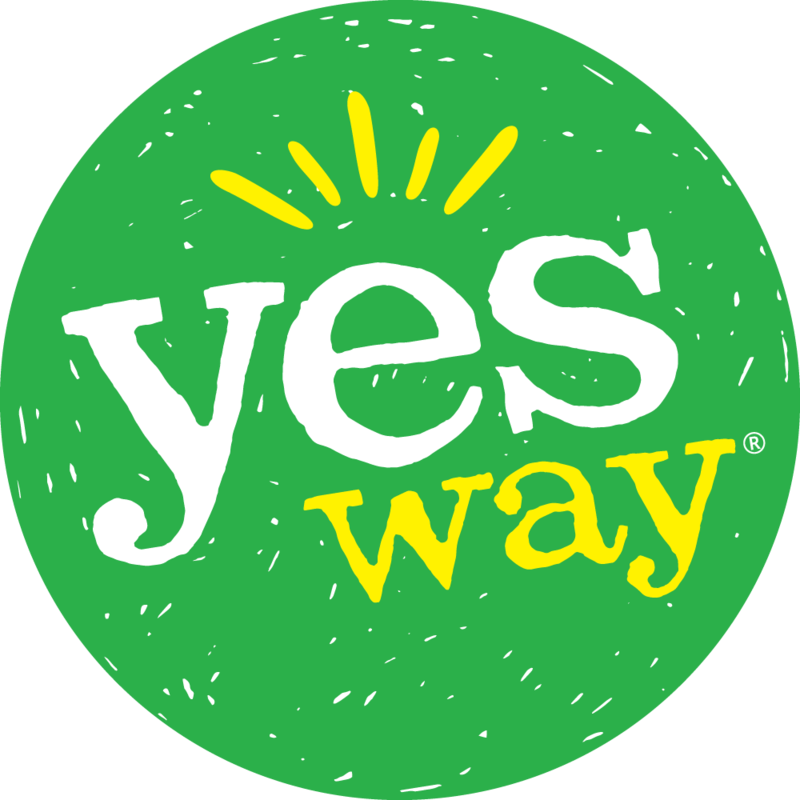 Visit a participating Yesway location and ask for a Yesway Rewards card. You will need to register that card online (yesway.com/rewards), or through our mobile app available at Google Play and the iTunes App Store. You may also go directly to yesway.com or the Yesway Rewards app and register without a card. Account registration is required to redeem Rewards. Registration also allows you to track your account activity such as points balance and Rewards earned, simply by logging in. How much does it cost to join Yesway? Nothing – It is Free! Any person 18 years or older. Yes. Your account must be registered so that you can redeem your Smiles for Rewards, and an email address is required for account registration. What rewards do I get? Upon registration, you will receive a 10¢ off fuel reward as a welcome gift. Receive a Smile on your birthday. Additional Smiles and Rewards are given out periodically throughout the year. To see the current list of Rewards that you can redeem your Smiles for, log into your account at yesway.com/rewards or tap the Reward Yourself screen on the app. 1. Store Associate will ask you to swipe your Yesway Rewards card. 2. Swipe your card, enter your phone number or have the associate scan your code from the mobile app. 3. Then pay as your normally would. 2. Swipe your debit or credit card. You will earn ten (10) points for each dollar you spend on in-store purchases and five (5) points for each gallon of gas you purchase. Will my points be added to my card immediately? Yes, points add to your account in real time at the conclusion of your purchase. Any Rewards earned can be used on your next visit. Is there anything that I will not earn points for? Yes, customers will not earn points for sales tax or any purchases of Yesway gift cards, lottery, Subway, bottle deposits or money orders. Yes. If an account has 12 consecutive months of inactivity, all points on that account will expire. How do I redeem my Smiles for Rewards? Once you have earned Smiles, you can redeem them for Rewards (free stuff you can get on your next visit). 1. Log in to your account online and click the orange button that says “Redeem Smiles”. 3. Review your order and confirm by clicking “Place Order”. 1. Log in to your account on the Yesway app. 2. Tap the “Reward Yourself” tab at the bottom of the screen. 3. Select the Reward you would like. 4. Confirm the redemption by tapping “Yes”. 5. Refresh your “Account” screen to see your new Reward. 6. Note: The Reward will expire in 30 days. 1. Select your Reward item. 2. Store Associate will ask you to swipe your Yesway Rewards card. 3. Swipe your card, enter your phone number or have the associate scan your code from the mobile app. 4. Pay as you normally would (if you have additional purchases). 1. Before fueling, insert your Yesway Rewards card or enter your phone number. 2. If you have a gas discount, you will be asked to “Redeem $.10 Fuel Amount?” – you would then select “Yes” and your price at the pump would automatically roll back. 3. Then you pay as you normally would. Can I redeem Rewards at a different location from where I earned the points? Yes! You can earn points and redeem Rewards at any participating Yesway location. Will there be any coupons to print out? No. All Rewards will be available on your account which you can access with your Yesway Rewards card or the Yesway Rewards app. How can I see what is on my account? I lost my Yesway Rewards card. Can it be replaced? If the lost card was registered on our website, all of your account information will be maintained. On your next visit to Yesway, ask for a new card and swipe it on your purchase so that it is activated. Then you can combine them by logging in to your account at www.yesway.com/rewards and clicking the orange button with the white plus sign or by tapping the account tab on the Yesway Rewards app, tapping your card number and then tapping the orange bar that says “Add Another”. If your lost card was not registered, it cannot be replaced and any earned points, Smiles or Rewards cannot be retrieved. We would encourage you to start a new card and begin earning points again. I forgot to swipe my card on my last visit, can I still get credit for that purchase? Unfortunately no, we cannot credit transactions to your account after the fact. If you do not have your card on your visit, you can still get points or redeem Rewards with the Yesway Rewards app on your smart phone or you can enter in your phone number at the time of purchase. Can I combine my points with another person’s points? No, points from multiple member accounts may not be combined. Can I combine points from two different cards that I have been given in-store? Yes, if you have received two different Yesway Rewards cards, you can combine them by logging in to your account at www.yesway.com/rewards and clicking the orange button with the white plus sign or by tapping the account tab on the Yesway Rewards app, tapping your card number and then tapping the orange bar that says “Add Another”. Can I share a membership with my spouse or another family member? No, Yesway Rewards is intended for individual personal use only. What if I have a problem with my account, lose my card or have a question that is not answered here? Please email rewards@yesway.com and we will be happy to assist you.